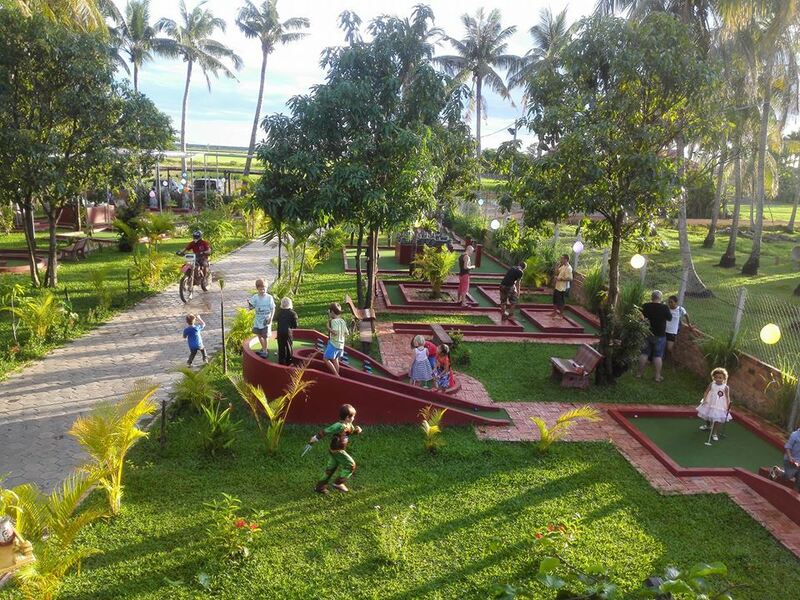 Angkor Wat Putt is a fantastic and fun, 14 hole Miniature Golf Course in Siem Reap. Come and knock a ball under and around 9 accurate replicas of the world famous Angkor Temples. Including Angkor Wat, Ta Prohm, Bayon, Banteay Srei, Preah Vihear and the Terrace of the Elephants. Perfect for all the family, young and old. If you need a break from the actual temples to have a bit of fun then do it guilt free.The course is set in a large, well maintained garden with a bar and seating area, we also open for playing at night until 11pm. So come and spend a few hours and relax with us.